Kids these days. They don’t seem to have any respect for the Corvette, which turns 60 years old soon with no plans of foreseeable retirement. When looking at the vehicle’s sales demographics, it’s no secret that Baby Boomers make up most of the ‘Vette’s sales figures. 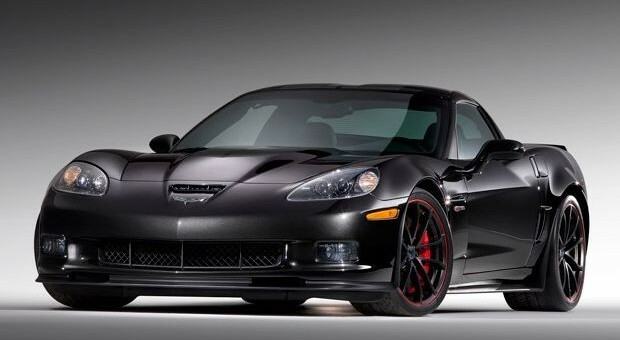 The theory is that not enough people younger than the Boomer generation don’t consider the Corvette as a serious performance vehicle with Porsche and Audi, and chances are they see it more as a musty underperforming antique, which is a damn shame considering the kind of performance observed from the Z06 and ZR1 models. “Maybe we need to tell the younger generation about just how special the Corvette is,” said Harlan Charles, Corvette product marketing manager to the Dallas Morning News. That being the case, the Corvette buzz has been shifted up a gear, with its first commercials since 2004, a Facebook fan page and other necessities to get the attention of the 20, 30 and 40-somethings that are otherwise considering makes such as Porsche, Mercedes-Benz or Audi. The reason the ‘Vette currently underperforms is partially because it is still running on leaf springs, something that even manufacturers here in Australia gave up on forty years ago (GM’s HQ Holden was Australia’s first all-coil sprung vehicle), although one tonners and Ford Falcon utes still ran them as they can handle more weight. That’s not it at all. The leaf springs that you speak of are nothing compared to what is under the Corvette. For starters, the springs on the ‘Vette are composite (not steel) and are transverse (not longitudinal). The suspension on ‘Vettes are not as archaic as one might think. The leaves function only as a spring and not as a support or locating device like on a live-axle truck suspension. The ‘Vette actually has double wishbone suspension front and rear. Another benefit is that the transverse arangement negates the need for a substantial anti-roll bar as it also acts as one on its own. There is almost no way a Corvette can use coil springs, particularly in front, because the packaging is so tight in the engine bay. Coil springs eat up some of that space since they have to fit between engine and wheel. The major problem with the Corvette is that it spent the majority of its history not matching up to the other cars by a wide margin. It wasn’t until the C5 that it was really worthy of consideration. The C6 takes this to another level and provided GM can sort out the interior problems, the C7 will take it a step further. The reality is in many places the Corvette “hobby” is dominated by the “boomers” or retired couples if you like? These are mostly friendly,easy going folks but many are involved purely for the social aspect and are not “car people”. The end result can get stale and boring very quickly as this crowd likes to do the same things over and over and over. The younger audience generally looks for maximum “bang for the buck” and while Corvettes have plenty of bang, they cost way too many bucks. Another question? Has the new Camaro become Corvette’s worst enemy?